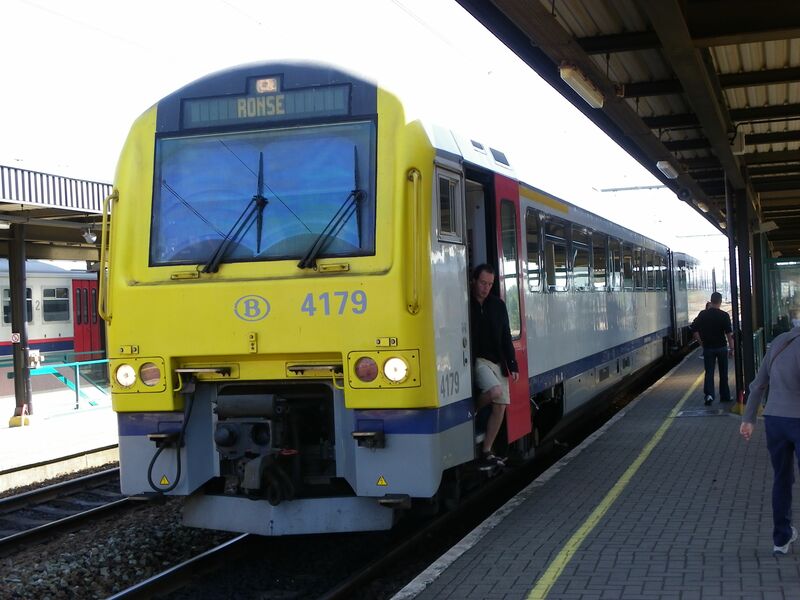 A class 41 diesel multiple unit 4179 stopping at the Oudenaarde station 18.7.2010. SNCB/NMBS Class 53 GM No. 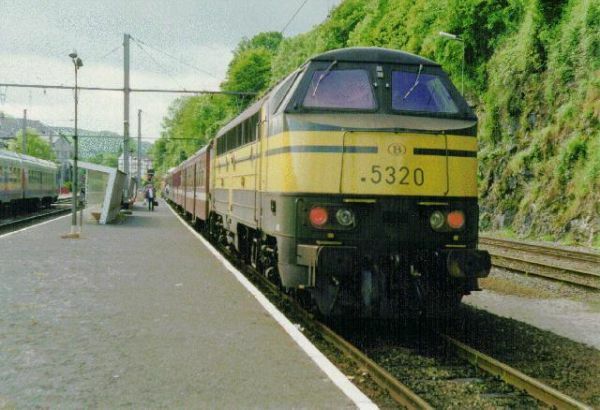 5320 has just arrived at Dinant with a strengthened local service from Bertrix in May 1994. Sister loco No. 5403 waits at the other end of the train to return. 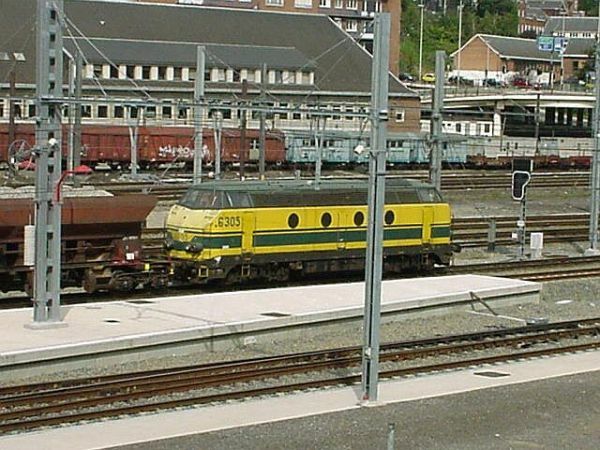 These locos have had cab modifications, before which they looked similar to the famous Nohabs (Danish MX/MY/NSB Di3/MAV M61 family). Photo by Andrew Cooke. Uploaded Dec 14, 1995. 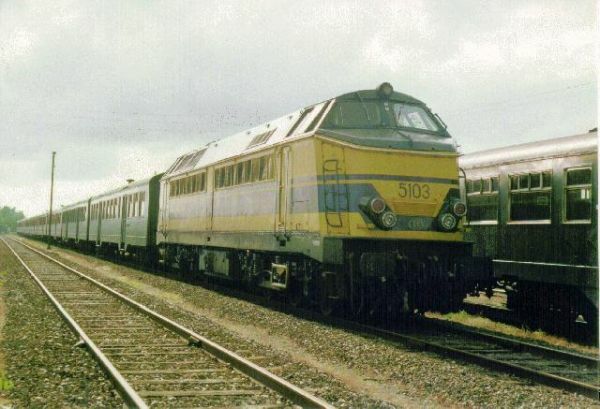 SNCB/NMBS Cockerill built Class 51 No. 5103 waits in De Panne sidings to form the weekend extra evening service from the coast to Brussels. De Panne was electrified very soon after taking this picture and since then then these trains have been electric hauled. 5103 was based at Schaarbeek depot in Brussels. 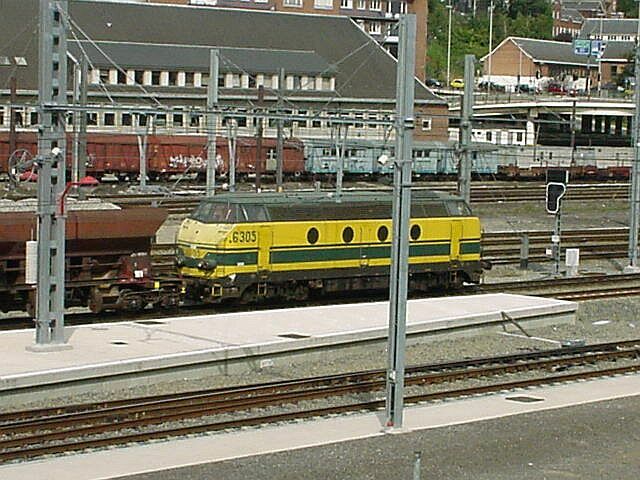 SNCB class 62 diesel at Naumur station 7.9.2002. They were built by BN and ACEC based on older General Electric and Swedish Nohab licenses from 1961-66. Total produced was 136 machines.